La Chocoallure is doing artisanal, handmade chocolates, desserts, confectionery like chocolate covered almonds, nibs, nuts, and more. If you’re a fan of all things chocolate, La Chocoallure’s handmade delights might induce a binge — the kind that doesn’t end when you’re full, but when the sugar rush makes you jittery enough to not eat any more. Their artisanal chocolates are made with cocoa that’s sourced from countries such as Ghana, Madagascar, Brazil and Malaysia, with the quality ranging from 35% to 90% — basically, the finest. 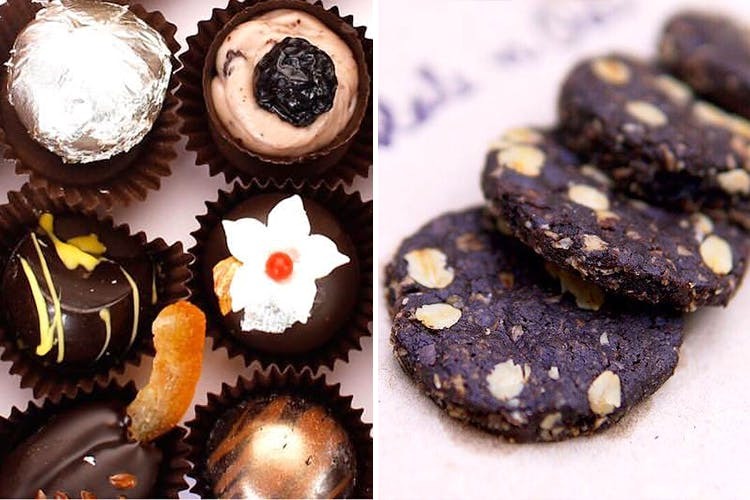 They offer sweets, nuts, nibs, and confectionery — think Minted Silk Chocolate, Caramelita Chocolate, Dried Cranberries bathed in white chocolate, Rose Gold caramelised almonds, Burnt Caramel Almonds, Butterscotch Dream Chocolate, Le CafeNoir Chocolate and more. They’ve got quite the range when it comes to truffles as well. You’ll be treated to flavours like Vinegar Caramel, Pistachio Saffron, Almond Rocher, Ganache, Honey Cardamom, and more. They don’t have a website yet, which would make going through their range much easier. It’s under construction, and we hope it goes live soon. They do hampers and multi-chocolate boxes that are perfect for gifting on occasions like weddings, festivals, and more.